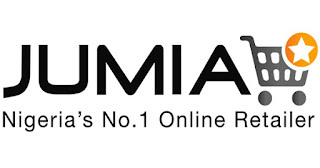 Jumia Nigeria Job Vacancies 2019 is Out Online | Click Here to Apply. Design and implementation of web-based back-end components that are high-performing and scalable. Participate and improve development processes such as Agile, Scrum and Kanban along with strong robust coordination processes related to software release, deployment and testing. 3-5 years relevant experience in Java / J2EE developement with Spring framework, especially with modules such as Web, JMS, transactions with Core container. Excellent Knowledge in Data Structure and Algorithms. Strong experience with Maven;Strong experience with ORM (Hibernate) and SQL (MySQL, PostgreSQL). A strong sense for code quality, following/defining coding guidelines and experience with Unit-Testing and SonarQube. Experience working with a large code-base and version systems, ideally GIT. Pro-activeness, team player and positive attitude. Adaptable, meticulous, innovative with good problem solving skills. As a Senior PHP Developer, you will be part of an agile team that develops smart logistics solutions on a service-oriented architecture using state-of-the-art technologies. This is a critical role as it directly correlates to continually improving vendor experience and as a result better vendor loyalty and retention. Analytics: Analysis of vendor centric key performance indicators and vendor NPS to ensure high quality vendor experiences Product improvement. Work Closely with the Head of Vendor Experience to lead projects within the unit and companywide projects with functional managers. High level of intellectual curiosity and focus on generating action-oriented business insights.